"We hereby express our sorrow and terrible pain over Heaven's defiled honor and over the trampling of the Torah, and the hand given to the uprooters and destroyers of Judaism who have already wrought horrible destruction upon the People of Israel in the Diaspora by causing terrible assimilation and the uprooting of all of the Torah's precepts." "And now they seek recognition in the Land of Israel as well, to be destroyers of the religion who are recognized as clergy. Woe unto us that in our day such haters of the Lord have raised their heads… We declare to the nation and the world: This will not pass!" Click here for a full translation of the letter. The Jewish Federations of North America issued the following statement in response to those comments. In the past, the Federations stayed out of most of these pluralism fracases, with some notable "Who is a Jew" exceptions; and in the past the Israeli government has buckled under to haredi blackmail. But things seem to be different now. We'll see if the new coalition is able to withstand the heat from Shas and other parties. 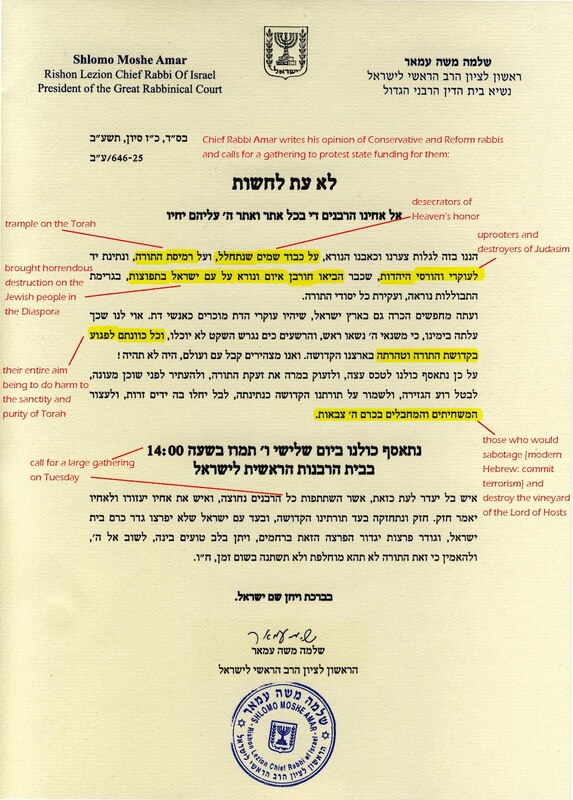 The Rabbinical Assembly is outraged by a letter issued on official Israeli government stationery by Chief Sephardic Rabbi of Israel Shlomo Amar calling for a rally at his office this coming Tuesday. The language used in the statement is inflammatory and inciting, referring to our members as "terrorists" whose "sole intention is to do harm to the holiness of Torah." The State of Israel and the Jewish people have learned the most bitter lesson in the murder of our beloved Prime Minister Yitzchak Rabin (z"l) that incendiary language can result in devastating consequences. We speak as a worldwide Conservative community in demanding that this threat to Masorti rabbis' physical safety, not only their personal integrity, be defended. The Talmud (Arakhin 15b) teaches that hateful speech has the potential to kill. 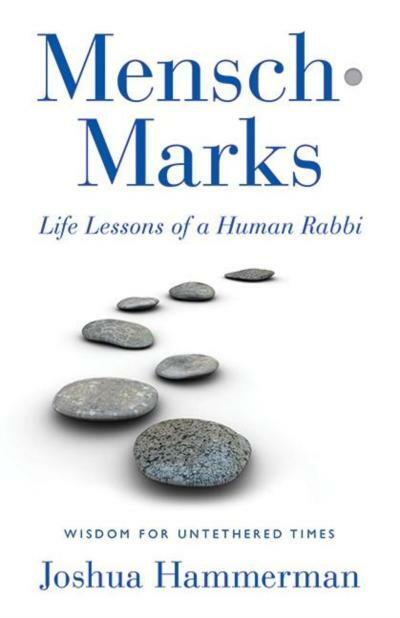 Rabbi Amar's language places all Jewish people at risk of violence, all because Israeli Attorney General Yehuda Weinstein directed that non-Orthodox rabbis in agricultural communities could be paid salaries from non-religious budgets. The vast majority of the world's Jews do not conform to the unfathomably hateful language of one of the two chief religious leaders funded by the Government of Israel. We ask that the resources of the Jewish state be devoted to teaching and propagating a love of Judaism and the Jewish people. As the Talmud concludes (Arakhin 15b), "What is the remedy for slanderers? If he be a scholar, let him engage in the Torah, as it is said: The healing for the tongue is the tree of life." As a wise man once said (long before his untimely death this week), "Can't we all get along?" Evidently the answer is no. 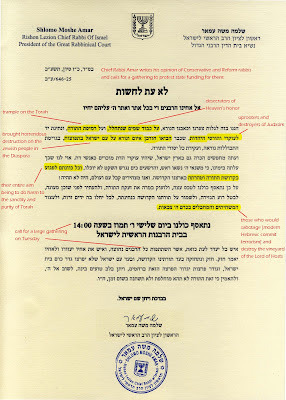 As long as letters such as this one can be printed on official stationery of the state, with the Israeli state seal on top, hatred and bigrty will be allowed to reign unchecked. But maybe last week's court ruling, the one which drew so virulent a response, drew that response precisely because it does mark the beginning of a change - a change for the better.